31, 31, 32, and 29. 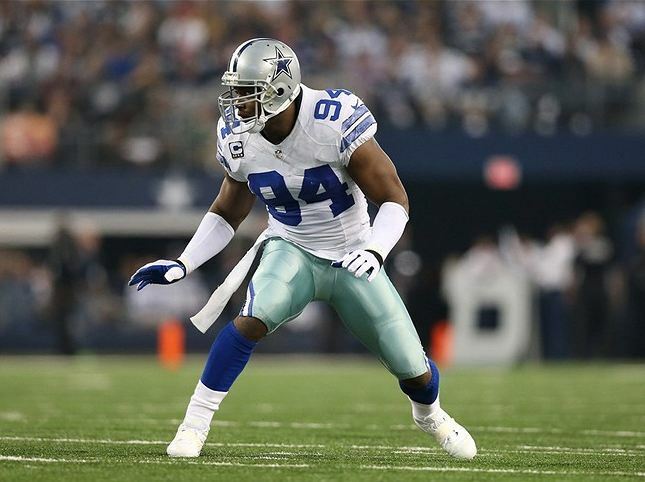 In a sport that seldom rewards age with consistent production and good health, those were the ages of the Dallas Cowboys’ projected starters DeMarcus Ware, Jason Hatcher, Jay Ratliff, and Anthony Spencer at the start of the 2013 NFL season. The Cowboys took a calculated roll of the dice that this well established quartet could provide the splash plays demanded of the defensive line in new defensive coordinator Monte Kiffin’s system and we have all borne witness to the disastrous result. Ware, who hadn’t missed a game in his career, missed three consecutive contests with a quad injury, and has been unable to muster any impact since his return. Ware’s opposite bookend Anthony Spencer barely got out of the starting blocks and landed on injured reserve. At tackle, Jay Ratliff’s injury situation became so contentious his relationship with the club couldn’t bear the weight and fractured. Only Jason Hatcher has remained healthy enough to stay on the field, and he’s consistently played at an all-pro level while providing clear leadership to the group of new faces that surround him. The catch? Hatcher is an unrestricted free agent in 2014. In addition to getting zero production from half of the projected starters, the team lost two key reserves in Tyrone Crawford and Ben Bass to season ending injuries suffered on the practice field. At present, seven of the ten defensive linemen on the Cowboys’ 53-man roster were not with the team last season, and an astounding six weren’t on the roster when training camp opened. Line coach Rod Marinelli has been given the lion’s share of credit for wringing every ounce of production out of a group made up of castoffs from other rosters. The concentration of age and injury have led many fans that closely follow the team building process to believe that the defensive line will be the team’s primary focus at the top of the draft in 2014, and rightfully so. Lets take an early look at how the team might stock the position group to better prepare for 2014. With ten defensive linemen presently on the active roster, we’ll work off the presumption that the team will carry ten into the 2014 campaign. What names will make the cut? How many rookies will wear the star? [clear][/clear]The Cowboys will enter the off-season with five defensive ends and just three defensive tackles under contract for 2014. Of the defensive ends, Kyle Wilber is included in that number, though he may have found his future home at Outside Linebacker after proving largely ineffective as an injury replacement for Ware. The very first off-season decision that must be made at end is on the weak side, where the team faces the real consideration of parting ways with one of the best defensive players to ever wear the uniform in DeMarcus Ware. The future of a long time star is never an easy subject to debate, but there is no room for sentimentality in the present state of this defense. There is zero likelihood that DeMarcus ware plays for the team under his present cap number. It is simply too cumbersome for a team that will have to make major changes to get far enough under the salary cap to address multiple needs. Ware has been rendered ineffective by a combination of injuries. There are only three options, release, re-structure, or a negotiated pay cut. Of the three, release might actually be the most prudent based on his current production level, but it hinges on the team’s ability to find an adequate replacement. Designating Ware a June 1st cut would cost them just $3.75M in dead money against the 2014 salary cap, and $4.8M against the 2015 cap. The organization would no longer owe his 2014 salary of $12.25M for a net savings of nearly $8.5M in 2014, funds sorely needed to re-load this roster. A re-structure or pay cut are possibilities, but a cut is always tough to reach agreement on and why convert salary to bonus if you don’t expect to get a big return on that investment? I strongly believe the Cowboys and Ware are headed for divorce, leaving a critical starting position that can’t be filled by anyone on the roster. On the strong side, a healthy return by Tyrone Crawford from his Achilles injury is the team’s ideal scenario. He’s young, economical, and shows good promise. This would allow the surprisingly productive George Selvie to work in pass rushing situations and provide much needed depth at both end positions. Coming off surgery for a degenerative knee condition and 30 years old, I don’t see the team entertaining the possibility of bringing free-agent Anthony Spencer back. After a breakout year in 2012, the former Georgia Tech All-American is playing this season under the franchise tag in Cincinnati. His sack numbers are down, but his performance in all facets of the game continues to grade extremely highly. The 6’7”, 270lb. Johnson is a true 4-3 defensive end and will be 27 years old to start the 2014 season. Bennett has been an extremely productive member of the Seahawks’ defensive rotation. After recovering from a torn rotator cuff in the off-season he has rebounded to record 7.5 sacks through week 15. The 6’4”, 274lb Bennett is a native Texan who starred at Texas A&M. Defensive line is perhaps the most dependent position on scheme for NFL success. Some of the top-ranked collegiate defensive ends simply don’t have the size to succeed as an every down player in a four man front. 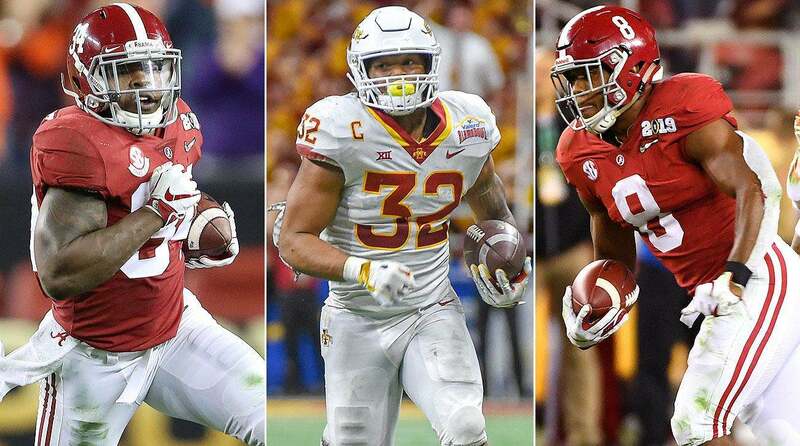 With that in mind, here are some targets to watch in bowl season and through the post-season all-star games. I’ll exclude South Carolina’s superlative Jadaveon Clowney, who will be well out of the Cowboys’ reach given the projected draft order. Players Oakman’s size aren’t supposed to move the way he does. Explosive, with a basketball background and tremendously powerful with his hands, he’s a two way end that can rush and ravage run games. The Penn State transfer is a draft eligible red-shirt sophomore and has yet to declare his intentions. He’s a first rounder should he enter the draft this year, and possibly a top 10 selection in 2015 if he returns to school. Big 12 coaches are rooting for the former. Opposite the more heralded, but undersized Michael Sam, Ealy Recorded 7.5 sacks in 2013. Ealy has prototypical size for the position and could potentially kick inside on passing downs. He’d benefit from more functional strength in the run game and Ealy’s inconsitency may push him into the second round, but his potential as a pass rusher will likely have him off the board within the first 50 picks. Martin seemed to have finally bloomed into the potential as a pass rusher long expected of him over the second half of the 2013 season. Finishing the season with first team all-ACC honors, he recorded 78 tackles, including 20 behind the line of scrimmage and 11 sacks. I’d presently project Martin anywhere from a late second round pick all the way through the third. The case of Aaron Lynch is a curious one. After an outstanding freshman campaign at Notre Dame, he abruptly left the program citing homesickness and returned to Florida. 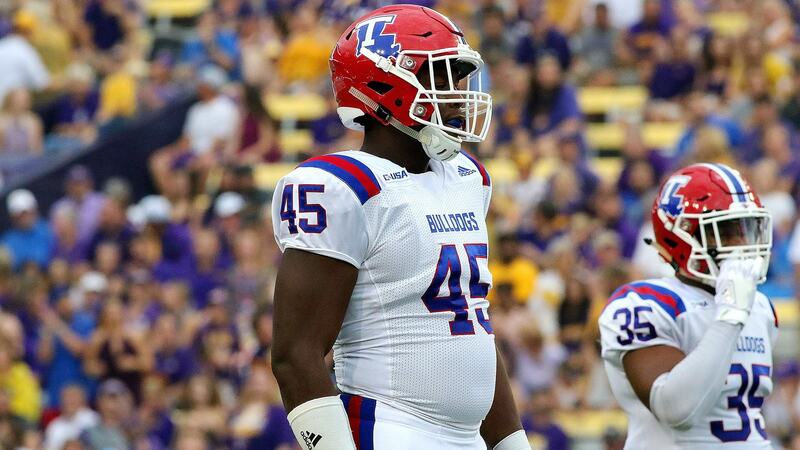 After sitting a mandatory season during which he lost more than 30 pounds, Lynch has declared for the draft after playing a single campaign at South Florida. He wasn’t the same player at 245lbs and finally began to produce as the season wound to a close. Teams will want to answer questions about his dedication to football, but his frame, athleticism, and what he put on tape at Notre Dame will have teams looking his direction very early if he can convince them the game is important to him. He’ll be one of the true wild cards early due to my anticipation that teams could have very different takes on where his head is at regarding football. Smith posted back-to-back very productive seasons in the SEC. His biggest concern is that production coming against weaker competition while being effectively marginalized by the conference’s heavyweights. I think its unlikely that Smith makes it out of round two without hearing his name called. Jeffcoat’s production has been outstanding, though concerns persist about his size translating to the NFL effectively. 2013 Big 12 defensive player of the year and Hendricks award winner, Jeffcoat is highly decorated and I don’t see him transitioning to linebacker. With 80 tackles and 12 sacks to his credit as a senior, I believe Jeffcoat comes off the board in round two in May. The song remains the same for the Cowboys at defensive tackle. Jason Hatcher has been fantastic this season, holding together a unit in tatters and producing what I feel has been an All-Pro campaign. What exactly do you offer a 32 year-old defensive tackle? My answer is that I hope the Cowboys establish a very low walk away number, thank Hatcher for his contribution, and set about finding his replacement in earnest. To invest heavily in age again would be throwing good money after bad. New contracts are about paying for future production, not rewarding past performance and at Hatcher’s age the odds of recouping the investment are astronomically against. Melton lost this, his franchise-tagged year, to injured reserve much the same as Anthony Spencer did here in Dallas. Melton will be 27 in 2014, and the Grapevine, Texas native has proven his ability as a disruptive three-technique tackle that this team covets. After Melton, the selection of potential free agent tackles under 30 years old falls off sharply. Joseph is a player the Cowboys have a lot of familiarity with and could hit the market at just 25 years old. Players like Miami’s Randy Starks sound appealing based on production, but the Cowboys have wisely shied away from older players on the open market. Hageman may not be the pure three-technique model in this system, as pure speed is not his game, but his combination of power and ability to create disruption will surely have him high on the Cowboys’ board. Hageman also has the versatility to play the one-technique as he’s seen duty in both roles at Minnesota. An impressive athlete, Hageman is a sure first round talent and will be mocked to the Cowboys frequently as draft season picks up steam. Easley suffered a season ending ACL injury in September, but put down plenty on film to ensure NFL interest will be high. He wins with quickness and definitely has the one gap ability to get in the backfield and disrupt offenses that this defense demands. He can improve at locating the football faster and finishing, but provided the knee checks out his athleticism is unmatched in this class. Easley projects from the late first throughout the second round. Sutton was the PAC-12 defensive player of the year, and has received an invitation to participate in the senior bowl. Extremely disruptive, and adept at using his hands and leverage to get off blocks and finish plays, Sutton may be more polished if less athletic than Easley. He didn’t match the production of his junior season when he recorded 13 sacks, but figures to make an early impact for the team selecting him on the draft’s second day. I have described Donald as the most “Kiffin” three-technique in this year’s class. Extraordinarily productive with 26.5 tackles for a loss this season and 10 sacks, he augments his physical ability by dedicating himself to the study of his opponents. His film rat nature will certainly impress defensive line coaches during the interview process. His size limits his versatility, but the Cowboys are in desperate need of his skill set. He figures to be selected in the second or third round and could immediately help the Dallas front seven. A first team All-ACC selection, Jernigan has been the most productive interior player on a talent laden Seminole defense. Another player that makes his way with quickness and leverage, Jernigan shares the versatility to play both spots in the Cowboys’ interior line. With at least a double dip at defensive tackle expected by the team in this draft, Jernigan is a prospect that could be available into the third round. In a league that is continually officiated to favor the passing game, getting to the quarterback is the only equalizer. The failings of the defensive line are the catalyst for the monumentally poor defensive performance the Cowboys are presently enduring. The lack of a reliable rush exposes everyone in coverage, and as exhibited by the state of the roster, the Cowboys are in desperate need of an infusion of youth and production up front. I expect no fewer than four defensive linemen to join the team, and with talented veterans potentially departing, those players need to be prioritized as major contributors. They aren’t just building depth here. 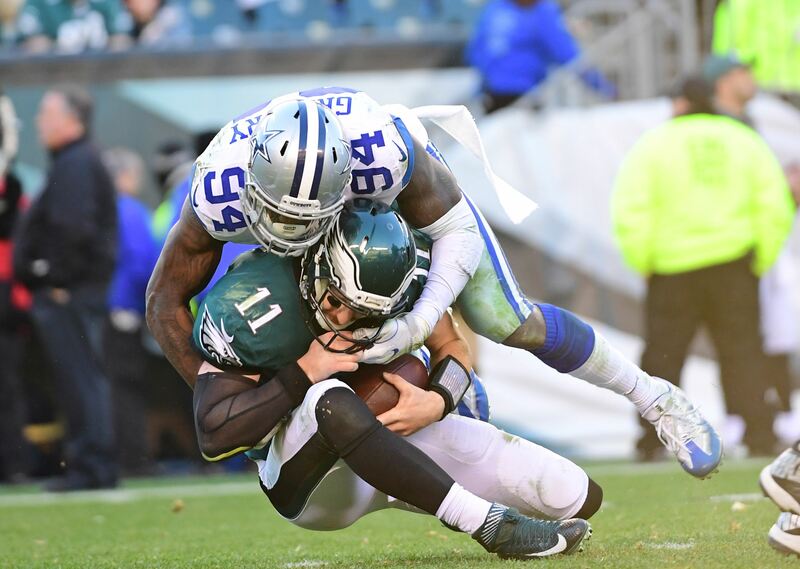 The Cowboys must re-make the defensive line as thoroughly as possible in a single off-season, but the reward could be the incremental difference that turns close games into wins. They gambled and lost on age this season. 2014 depends on their ability to stack the deck in the team’s favor, and it starts with the defensive line.